Our cooperative preschool environment provides Northern Virginia families the opportunity to learn through play together! Choosing a cooperative preschool is a personal investment in your child’s education. Parents are in the classroom participating in making memories and learning in the process. We have a diverse group of families in our membership, and encourage all families to apply. With our flexible buyout options for busy and/or working parents, we find a way to make sure everyone can join the fun! Our cooperative school environment enables families to actively participate in their child(ren)'s early education experience. Participation is what makes our community so strong. Through co-oping, our families provide support to our full-time staff before, during and after the school day. Co-oping adults clean tables, bring community snack, make art projects, vacuum classrooms, build towers, help students use the restroom and wash hands, put on dress-ups, and help children navigate challenging or new social interactions (among other things)! In short, co-oping adults are vital to our program. SHPS accommodates a variety of family arrangements. Mothers, fathers, grandparents, or primary childcare givers (i.e. nannies/au pairs) may participate or co-op in the classroom. Because your full attention is needed for SHPS children, no siblings or other children may accompany you on your participation day. Cell phone use is limited to emergency calls only. Appropriate training and support are provided. Participating adults are assigned to co-op in their child’s classroom on a rotating basis. Co-op schedules are generated several months in advance, and depend on many factors such as the number of buyouts in the classroom, holidays, student birthdays and reasonable preference requests from parents. We encourage parents to get creative when meeting their co-op responsibilities. We have email groups where interested parents can trade co-op days, trade babysitting hours for younger siblings or make other arrangements so that you can participate in our co-op in a way that works for your family. 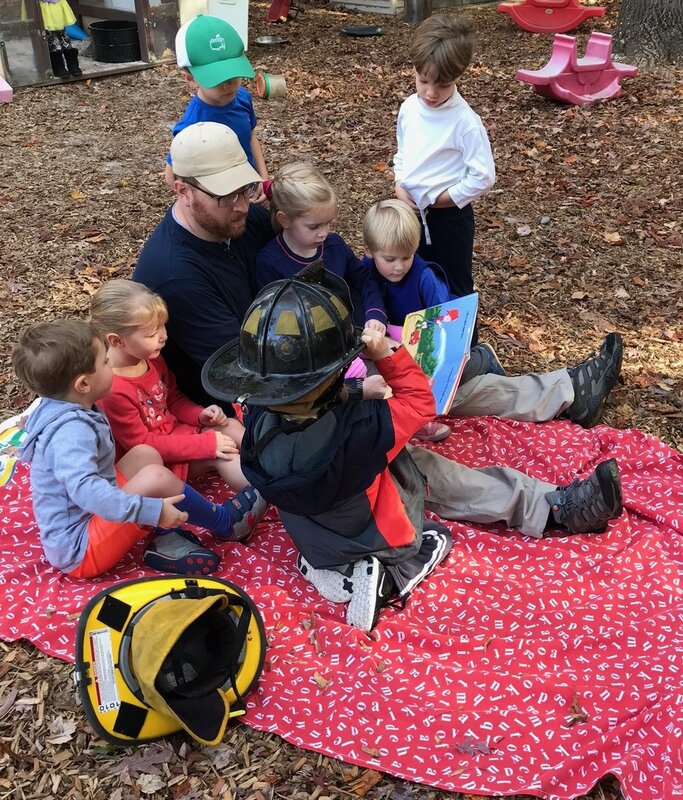 Occasionally there is a family that would like to join Sleepy Hollow Preschool, but due to job situations or other factors cannot make the time commitment required to fulfill the in-class co-op requirement. For these families, the preschool offers what is known as the “buyout” option on a limited basis and at an increased tuition rate. The buyout option is not available for the two-year old classes. Parents who have chosen the buyout option are not required to spend any in-class time as a classroom helper. They can provide snack, or have the school provide it for an additional fee. These parents are still responsible for meeting all other requirements of membership: 4 hours of school maintenance, committee participation, and attendance at general membership meetings. Each co-oping adult will be scheduled as an on-call substitute at least once per year. Sleepy Hollow’s plan for short-term substitutes ensures reliable substitutes who are familiar with our philosophy and program. In the absence of a teacher or assistant teacher, a parent is called to substitute. We also offer a limited number of on call substitute buyouts, where families pay a flat fee to have a qualified, paid individual cover their on call substitute days.